Get your coffee table or bookshelf ready for these two new fashion bibles , a new series of books from British Vogue exploring the key pieces in a "stylish woman’s wardrobe". 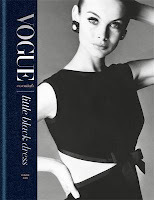 To start off we have Vogue Essentials: Little Black Dress by Chloe Fox and Vogue Essentials: Handbags by Carolyn Asome, this irresistible new series from Conran Octopus and British Vogue explores the key pieces in a stylish woman's wardrobe and features photographs from Vogue's peerless archive of more than a million pictures. Ninety years after Vogue dubbed Coco Chanel's simple short black 'Ford' dress 'the frock that all the world will wear', Chloe Fox celebrates the best LBDs in Vogue Essentials: Little Black Dress. From the bold, dramatic designs of Zandra Rhodes to the eye-catching LBDs by Vivienne Westwood, from the pared-down simplicity of Calvin Klein's shift dresses to an asymmetric shoulder evening gown by Versace, Vogue Essentials: Little Black Dress celebrates the very best of the LBD. Carolyn Asome reveals the fashion accessory that can make any woman feel fabulous - from the myriad surrealist creations of Karl Lagerfeld at Chanel to Prada's democratic nylon backpack, from the exclusive Hermes Birkin bag to individual vintage gems, the handbag is fashion's most inventive accessory. No shock, then, that the handbag market today is worth more than a hundred billion dollars. From each season's must-have to five-figure rarities, the handbag symbolizes the inexplicable power of fashion desire. 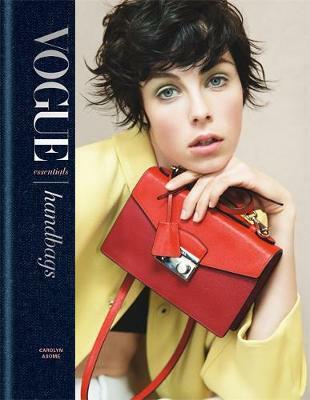 Vogue Essentials: Handbags explores all the greatest hits in a collection that any fashion devotee will covet.